My friend, Deb, and I delivered 63 Cuddle Quilts to the Children's Home/Chambliss Shelter, a local children's center, today. The members of our quilt guild, the Choo Choo Quilters, make and donate lap quilts as our community service project. 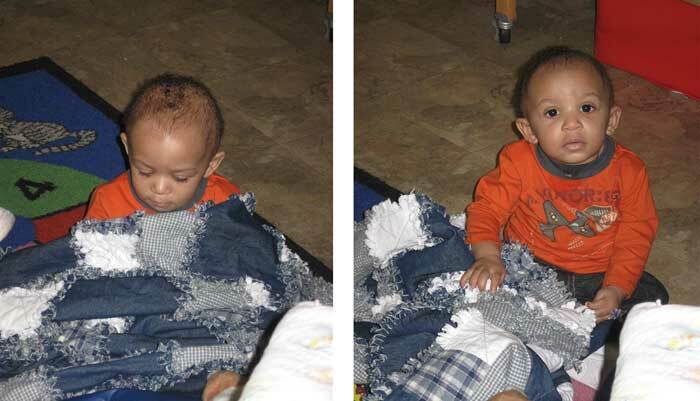 We also donated 9 bed-size quilts in December for the teenage residents. Here are Deb Horn (far left) and I (far right) with staff from the center. A pile of quilts are in front. 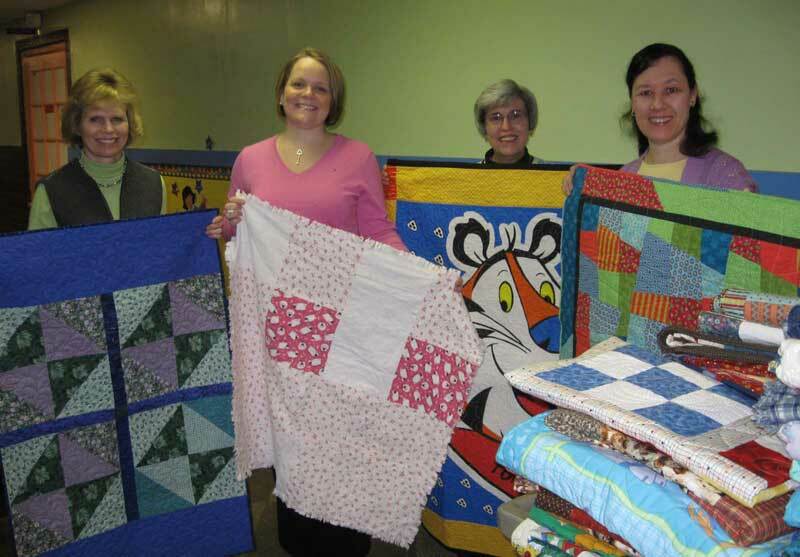 Guild members worked the past 8 months piecing, quilting and binding the cuddle quilts in response to our 2010 Great Cuddle Quilt Quest program. The Director of Volunteer Services, Paulette Acord, and her staff admire the quilts. Here are some of the recipients that received a quilt today. 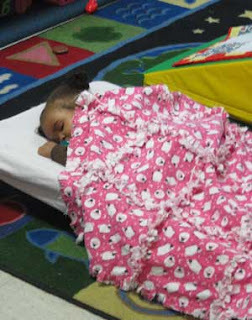 Doesn't that warm your heart to see these quilts warming others? They will be appreciated and loved! Thanks for visiting my blog!